In K-12 schools across the country, children are getting protective coatings on their most cavity-prone teeth. Dental sealants, applied in school-based programs, have been shown to reduce tooth decay by as much as 60 percent. 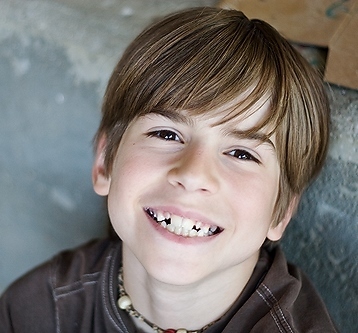 Reaching high-risk kids and saving high-risk teeth is a big win for public health. But there are big differences in how states manage, finance and measure school sealant programs (SSPs). That's why the Children's Dental Health Project (CDHP) has released a school sealant report today. Funded by the Centers for Disease Control and Prevention (which supports sealant and other oral health activities in 21 states), the report looks at factors that influence SSPs' reach and sustainability. It features five states — Illinois, New York, Ohio, South Carolina and Wisconsin — where SSPs have operated for 10-plus years and serve a substantial number of children. Drawing on information provided by nearly every state in the country, the report provides insights on the hallmarks of successful programs in key areas of financing, partnerships and collaborations, program effectiveness and adaptability. The report closes with recommendations for work groups to dig into issues such as business planning for program sustainability, strategies to reach the kids and the teeth that can benefit most from sealants, accountability measures, and policies that support the biggest return on investment for public health dollars. CDHP's blog will have more to say about these issues in the weeks ahead. We're also providing technical assistance to help states better measure and report SSP successes, as well as unmet needs. My own kids, now in college, have never had a cavity. By my own college years, I’d had 8. I learned a thing or two about oral hygiene since then, but my children also had the advantage of dental sealants, applied by our family dentist. Imagine the difference that school-based sealants could make for a child who doesn’t see a dentist, who shares a family toothbrush, who doesn’t have access to fluoridated toothpaste or fluoridated water, and who’s trying to concentrate in class despite a throbbing tooth ache.